The communities in which nonprofits operate have a significant influence on the extent to which organizations can achieve their missions. A complex network of beneficiaries, funders, competitors, and collaborators surround nonprofits and foster their success or lead to their decline. 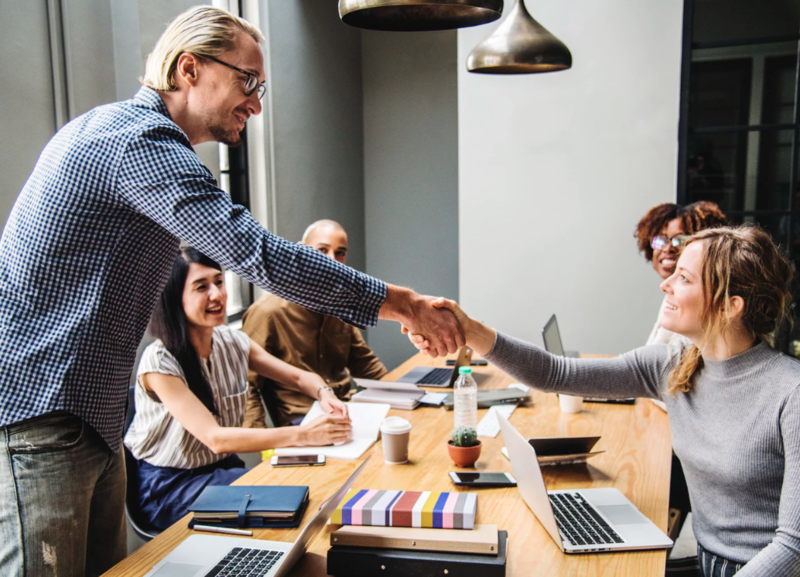 To strengthen long-term sustainability leadership needs to understand who the important actors are, how quickly changes in the market occur, and how volatility will impact the organization’s business model. 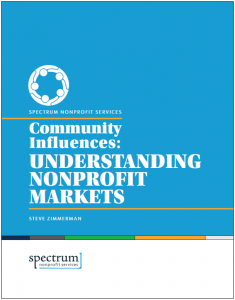 In a Spectrum white paper, Steve Zimmerman outlines a framework through which nonprofit executives can segment the market, develop a shared understanding of relevant forces, and prioritize the most pressing market-based challenges they face. We invite you to read the white paper and download templates to guide your own analysis of your community. We also offer market analysis training, workshops and consulting engagements if interested.